Look in the mirror. Chances are you’ll see one (or several) features that’ll make you smile. Whether it’s amazing arms or lovely legs, clothing that highlights those particular features is going to be your body’s best friend. Don’t know where to begin? Start by finding the parts you love and discovering styles that’ll make them stand out. Ready to see how to flatter your fave features? Keep scrolling! Find the figure features you want to flaunt below. Learn more about which cuts flatter these features & why. 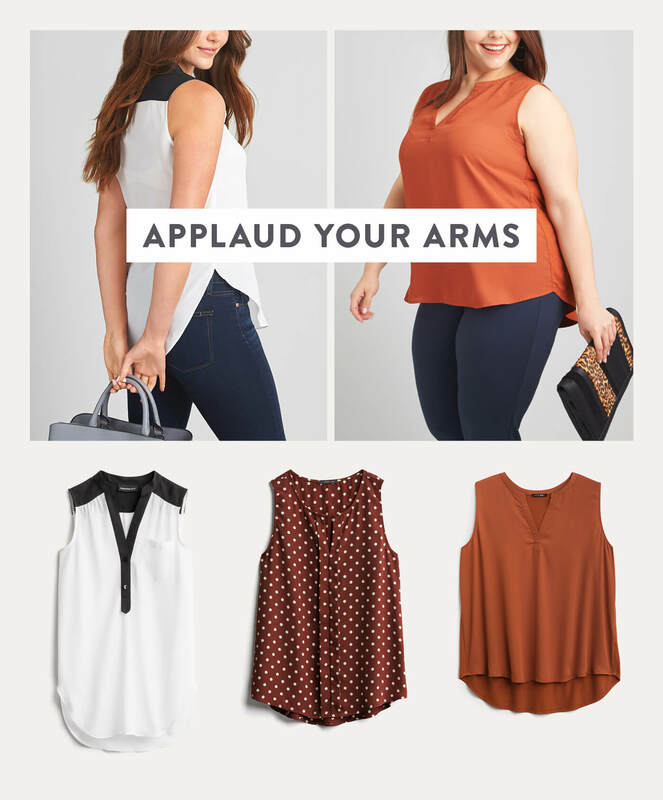 If you sport shapely shoulders and arms, look for styles that contour and complement them. A sleeveless top or vest lengthens your arms while a racer-back tank also defines your shoulders. Layer a denim jacket or blazer over these arm-flattering tops to wear them year-round. 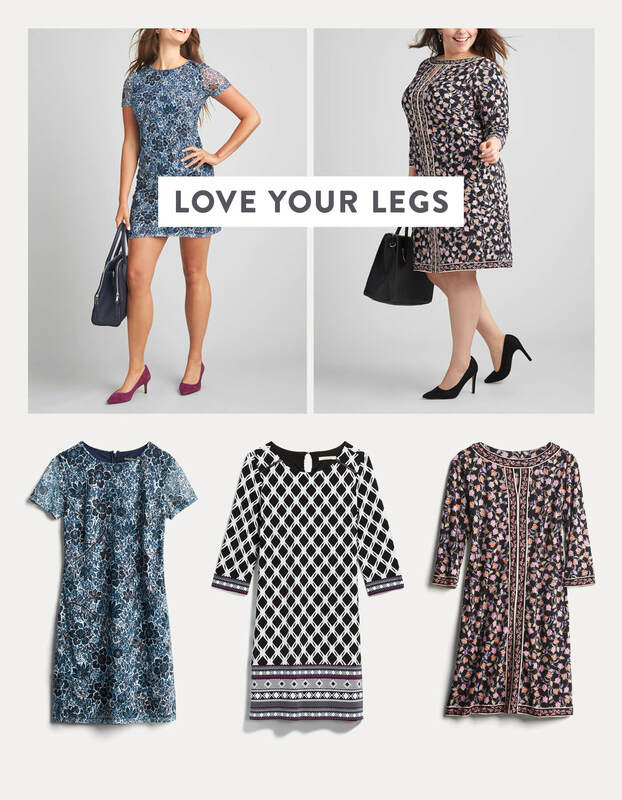 Love your legs? Give your gams a starring role. Wear a flirty mini dress or pencil skirt topped with a jacket that just skims the hem to create a sleek, solid line. Or strut your stuff in a pair of stretchy skinny jeans. The body-hugging fabric keeps your legs in fine form. If you have a rear that you just can’t stop showing off, good for you! Play it up with a pair of perfect-fitting jeans. 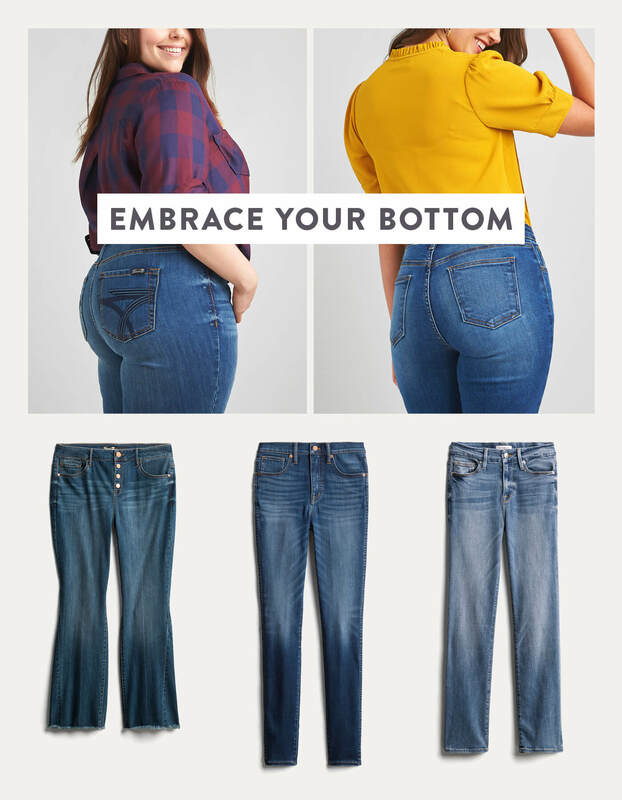 Pay attention to the details: Fitted jeans with a bit of stretch, smaller pockets that sit higher up and a yoke (the seam below the waistband and just above the rear pockets) with an upward arc, rounded or heart-shape, all flatter the fullness of your bottom. Hips are the ultimate in feminine fabulousness. If you’ve got ‘em, you’ll want to flaunt ‘em for sure. One of the easiest ways to play them up is to wear a classic wrap dress. The slightly cinched waist embraces your shape and gives your hips a smooth line. Turn around, and your bottom will no doubt look shapely as well. Two birds, one stone. Let us know the body features you wish to focus on (send a note to your Stylist!) 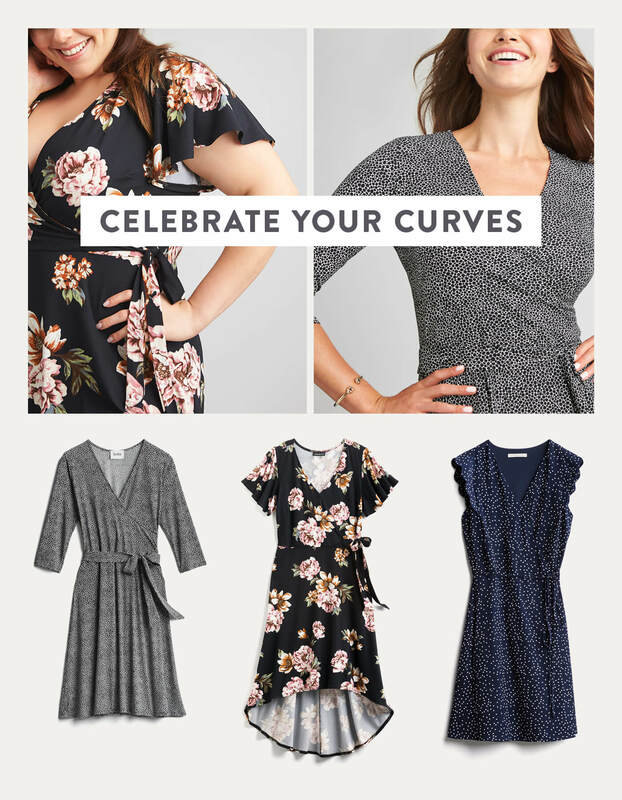 and we’ll send you styles you’ll love!